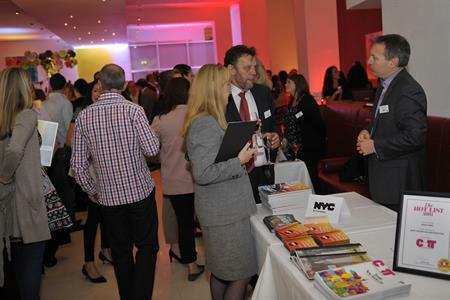 NYC & Company kicked off its second roadshow for the UK C&I industry last night with an event at The Avenue restaurant in London that attracted over 120 corporate and agency buyers. Buyers included representatives from Guardian Media Group, FT Business and agencies including Banks Sadler, W&O Events and Seventeen Events. They met with 12 partners from NYC & Company including a range of hotels and suppliers. Jerry Cito, first vice president, convention development at NYC & Company said: "We're delighted to return to London for our second UK MICE roadshow. We enjoyed a fantastic evening engaging with quality London buyers. The level of interest in New York City has been strong and impressive and our partners are looking forward to progressing opportunities arising from the event. The launch of the roadshow came as New York was announced Gold winner of C&IT’s 2011 Hot List, voted for by readers and unveiled today. The roadshow continues onto Leeds today and Manchester tomorrow where NYC & Company and its members expect to meet with a further 50 plus buyers. See photos from the event last night.